Monogram is rolling out the red carpet to debut a Column refrigerator door panel artfully conceived by style and fashion icon Zac Posen. With intricate details from the charcoal mirror finish to the fabric inspired details, Zac Posen’s door panel exudes sophistication that will help its owners realize the endless opportunities for custom design. Posen, a judge for Lifetime’s “Project Runway,” is renowned for dressing leading women, including Michelle Obama, Gwyneth Paltrow, Uma Thurman and Rihanna. Also an avid culinary artist and author of the cookbook Cooking with Zac, Posen collaborated with Monogram to bring his signature runway style to luxury kitchens. Like Posen, Monogram is known for its finely crafted details and distinctive styles that adorn the homes of owners with refined tastes. The Monogram column is expertly engineered with LED interior lighting, autofill pitcher and WiFi connectivity. Posen is among an elite galleria of world-class artisans that Monogram has enlisted to celebrate the craftsmanship of Monogram appliances. 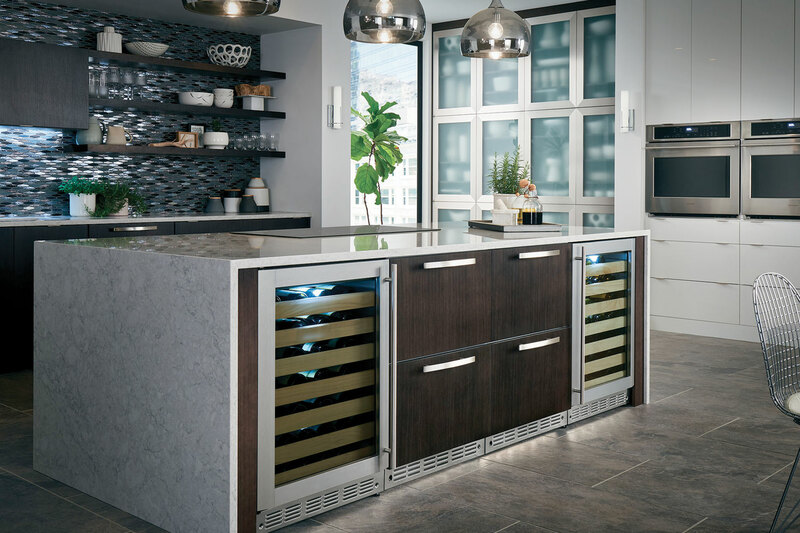 Defined by purposeful design and complemented by one-of-a-kind creations, Monogram offers topline ranges, refrigerators, ovens, dishwashers and more. Fashion icon Zac Posen, celebrity A-lister Brooke Shields and GE Appliances Vice President of Marketing and Brand Mary Putman celebrated the launch of his newly-designed refrigerator column for the Monogram appliance collection at The Pool hotspot in New York.